Tinctures are one of the most common ways to take hemp extract, and for good reason! It’s a predictable, long-lasting result and it’s as easy as a dropper of liquid under the tongue. 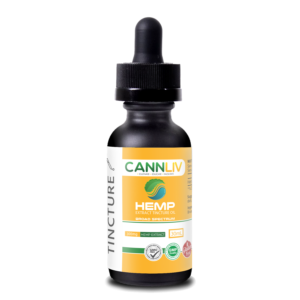 Each bottle contains 600mg of pure hemp extract. Broad Spectrum Hemp Extract Tincture with Organic MCT Coconut Oil is an amazing combination of two of Nature’s most classic superfoods. Pure natural ingredients ensure high quality and safety. Research says that hemp extract provides some of the most diverse and effective health benefits found in nature. You should do your own research and see if the the hemp extract can help your condition. Consult your physician if you have a medical condition or are taking any medications before using 600MG Hemp Extract Tincture. MCT Coconut Oil (Carrying Oil). Non-GMO, Organic, Pesticide Free, US Grown Industrial Hemp. Use once daily or as needed. Simply enjoy your oil by dropping on the tongue. You can add it to any of your favorite food or healthy drinks. Everyone reacts different to the suggested use.